It’s March… which means warm spring days filled with blue skies and sunshine are just around the corner. If you’re looking for fun ways to enjoy being outside, then look no further that MillBridge’s many pocket parks!  Walking down the streets and sidewalks of our neighborhood, you’ll encounter a wide variety of these community gems offering fun ways for our residents to play and relax in the great outdoors. Ready to explore what our many pocket parks have to offer? Here are a few suggestions to get you started! 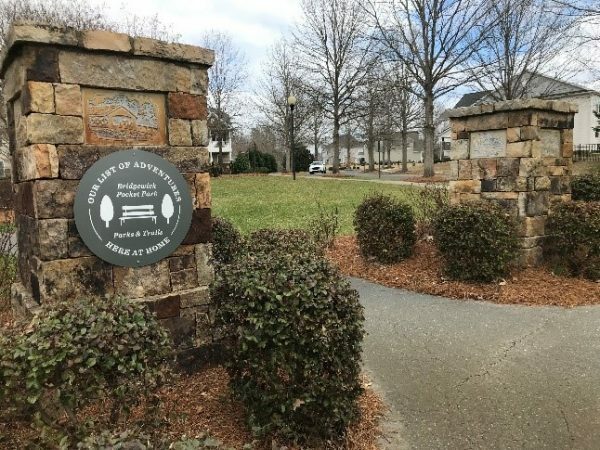 Located just across the street from the Community House, Pinebrook Pocket Park offers winding pathways lined with green space… as well as the perfect spot to find your next good read. 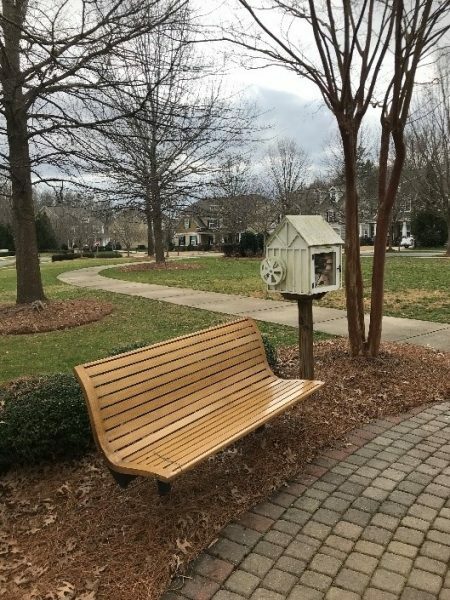 MillBridge’s Little Free Library offers a selection of books for residents to enjoy while relaxing on a park bench or talking a walk around the neighborhood. Pick a book to dive into, or drop off a must read for other MillBridge residents to enjoy! 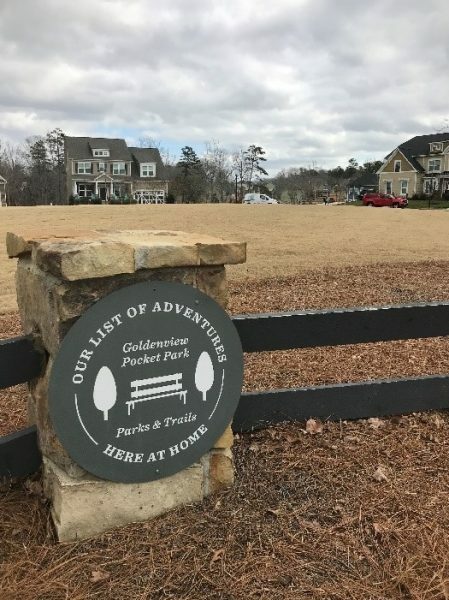 Open green space is not hard to come by around MillBridge, and Goldenview Pocket Park is a great example of that! Looking to throw the football or frisbee around? Maybe a game of fetch with the family dog? Goldenview offers a wide open space for you (and your four-legged friend) to stretch your legs and get some exercise! Our community’s iconic covered bridge is just a few steps away from the winding path through Bridgewick Pocket Park. Knock on a neighbor’s door, then head towards the stone pillars that mark the entrance to Bridgewick. But don’t stop there… see where the sidewalk takes you as you catch up with good friends! Join Your Neighbors for a Pocket Park Picnic at Nature Park! On Sunday, March 31st from 4:00pm-6:00pm, we’re heading to Nature Park for an evening picnic, and we’d love to see you there! Tables and chairs will be provided, so all you’ll need to bring is your favorite dish or drink to share with others. Interested in coming? Just RSVP to millbridgeactivities@gmail.com letting us know how many people are coming and what you plan to bring! 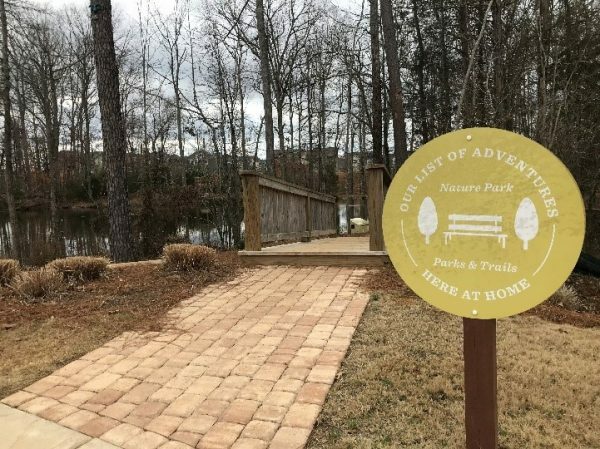 There’s so much to do at MillBridge’s pocket parks, and the good news is… there are even MORE of them for you to explore! So head out the front door, take a walk down the sidewalk, and discover all that your unique neighborhood pocket parks have to offer.